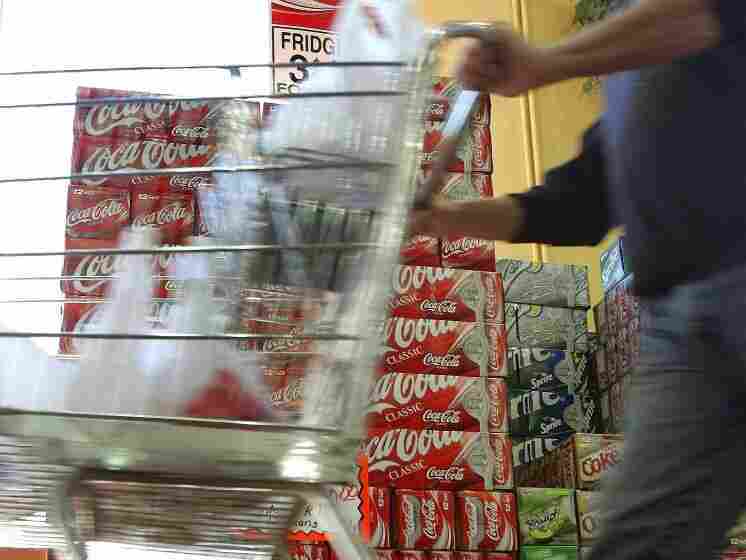 Odds Of Drinking A Soda Are A Coin-Flip For Americans : Shots - Health News Chance are good that you consumed something sugary (or high fructose corn syrupy) in the last day. On any particular day, half the people in the U.S. drink a soda, fruit or sports drink, or similar calorie-rich beverage. Did you have a sugary soda today? How about a full-calorie sports drink? Chance are pretty good that you consumed something sugary (or high fructose corn syrupy) in the last 24 hours, according to findings just out from the U.S. Centers for Disease Control and Prevention. On any particular day, half the people in the U.S. drink a soda, fruit or sports drink, or similar calorie-rich beverage. The findings, gathered from interviews conducted between 2005 and 2008, show that Americans males are getting about 175 calories a day from the drinks, on average, compared with 94 for females. Teenagers drink the most of this stuff, as if you needed the CDC to tell you that. For boys, ages 12 to 19, the average number of calories consumed was 273, compared with 171 for girls in that age group. A study published earlier this year came up with an even higher estimate for how much sugar teens are getting from sweetened beverages — about 476 calories a day. Either way, American teens — and others — are drinking too many sugary beverages, according to guidelines from the American Heart Association. For better heart health, the group recommends no more than 450 calories a week from sweetened drinks, or about three cans' worth.